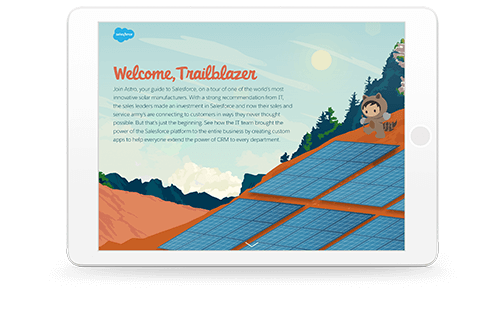 Step inside a solar manufacturing plant running on the power of Salesforce. Grow current accounts, find new customers, and close deals faster. Anticipate and resolve customer service issues before they escalate. Optimise the supply chain to keep production lines humming and customers happy. Turn any marketing department into a data-driven machine, and so much more.